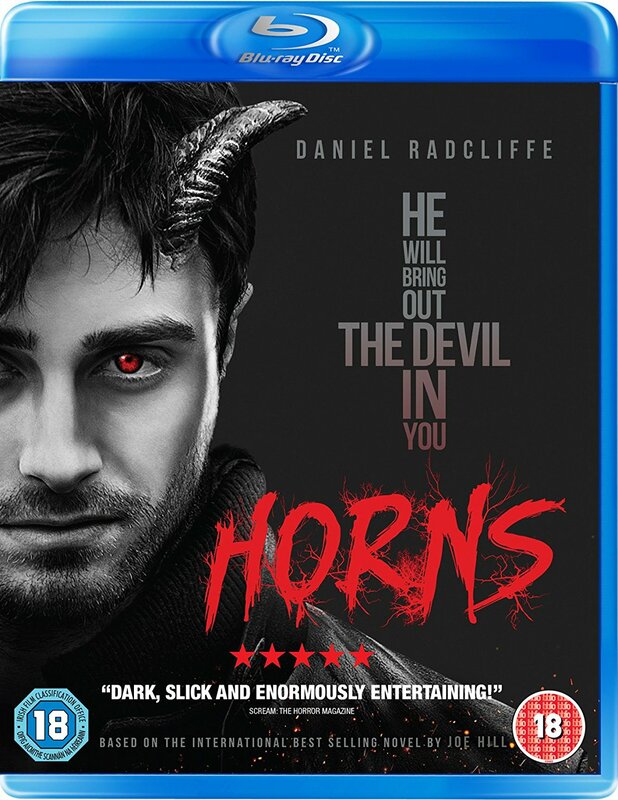 Below you find the UK DVD and Blu-ray artwork for Horns, released by Lionsgate UK. From master-of-horror Alexandre Aja (The Hills Have Eyes, Piranha 3D) comes this supernatural, offbeat thriller starring beloved British actor Daniel Radcliffe (Harry Potter franchise, The Woman in Black) and the talented Juno Temple (Magic Magic, Sin City: A Dame to Kill For). 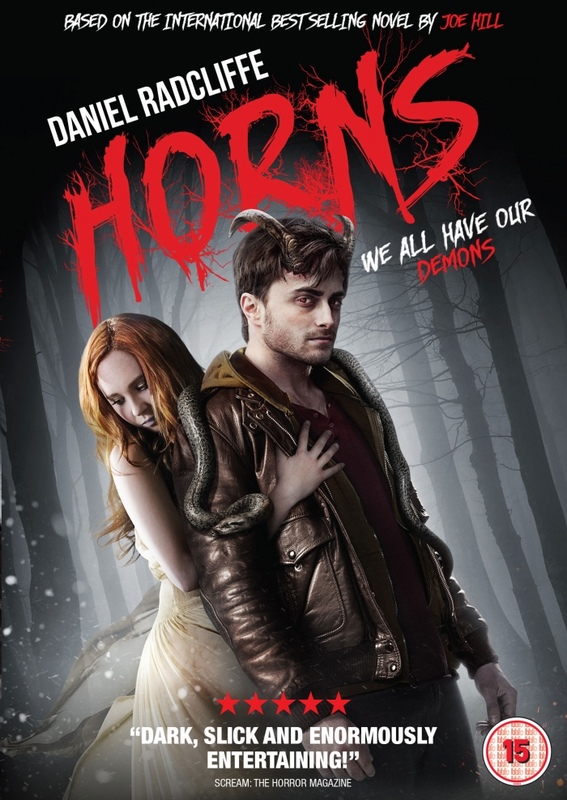 Ig Perrish (Daniel Radcliffe) is accused of the murder of his girlfriend, Merrin Williams (Juno Temple). After a hard night of drinking, Ig awakens, hungover, to find horns growing out of his head; they have the ability to drive people to confess sins and give in to selfish impulses. Ig decides to use this effective tool to discover the circumstances of his girlfriend's death and to seek revenge by finding the true murderer. Daniel and Juno lead an all-star cast with strong support from David Morse (The Green Mile, The Hurt Locker) and Heather Graham (The Hangover I & III, Boogie Nights).